Thirty Years of Clean Water Organizing in Texas! Dripping Springs’ quest for a permit to dump almost a million gallons of treated sewage each day into a small tributary of Onion Creek is now in the hands of a Texas Commission on Environmental Quality (TCEQ) administrative court. Save Barton Creek Association, Save Our Springs Alliance, and Protect Our Water have all been granted party status to contest the permit, as have the Barton Springs Edwards Aquifer Conservation District, the Hays Trinity Groundwater Conservation District, and a few local landowners. The parties maintain, and Clean Water Action agrees, that the discharge will damage Onion Creek and the Edwards Aquifer that it helps recharge, due to excessive nitrogen and phosphate loads that treated sewage contains. These loads can choke off oxygen, cause algae spikes, and kill fish. Dye tests conducted earlier this year by Central Texas agencies and scientists from the Texas State University’s Meadows Center demonstrate that whatever is discharged into Onion Creek — including wastewater — will also wind up in the Trinity Aquifer. Dripping Springs gets its drinking water from wells drilled into the Trinity, as do hundreds of homeowners. Pink dye released into Onion Creek appeared at eight different wells, and even in one resident’s bathwater! The court is expected to rule on the challenge to Dripping Springs’ permit within six months. The case then goes to TCEQ, whose three commissioners can accept the decision or approve the original permit. Clean Water Action is part of the “No Dripping Sewage” campaign to secure a ban on sewage discharges throughout the Edwards Aquifer recharge and contributing zones. 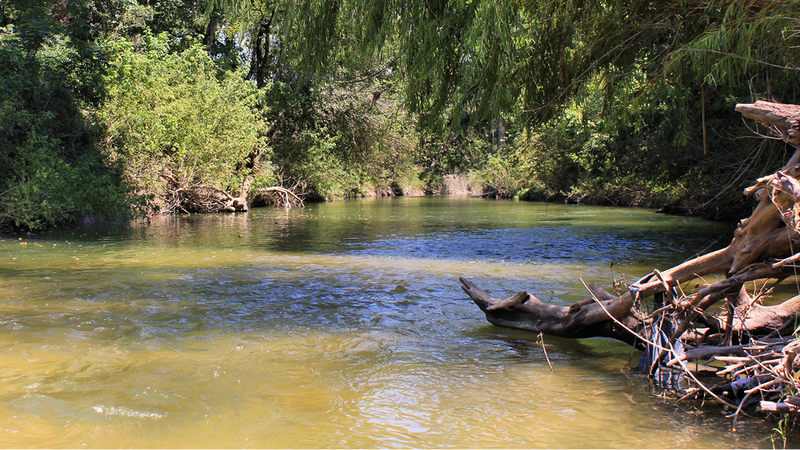 This is the best way to protect the pristine creeks and aquifers in the region. Proven, cost-effective alternative methods of sewage disposal are readily available, including land application and beneficial reuse. You can learn more and sign the petition in favor of this ban here. Water Forward, Austin’s emerging plan to meet its water supply needs for the next 100 years, and CodeNext, the city’s overhaul of its land development code, together offer a rare opportunity to embrace a sustainable water future that can soften the twin blows of prolonged drought and episodic flooding. Clean Water Action is organizing to ensure these two processes result in sustainable water practices. According to climate projections, areas that currently experience abundant rainfall (like Southeast Texas) will get wetter, while more arid parts of the country (like West Texas) will get drier as the century wears on. Austin sits on the boundary between these two zones, which puts it in a precarious position: it can expect longer periods of extreme drought with greater evaporative losses from drinking water reservoirs, interrupted by intermittent years of heavy rainfall. This is precisely the pattern of recent years. Water Forward is the city’s effort to diversify water supply to reduce dependence on drought-threatened reservoirs. Strategies identified include desalination of groundwater and seawater, aquifer storage and recovery (where water from the Highland Lakes during wet periods would be stored in the Carrizo-Wilcox Aquifer for retrieval during dry periods), expansion of the city’s reclaimed water program, and decentralized methods like using air conditioner condensate, greywater, and stormwater to irrigate landscapes and flush toilets. Clean Water Action favors prioritizing decentralized approaches, which avoid the need for costly pipelines and the energy needed to pump water over long distances. These decentralized options, already in place in other cities, can use our buildings themselves as sources of new water. This is precisely where the water provisions of CodeNext should intersect with Water Forward. While CodeNext is mainly focused on zoning, it includes provisions on stormwater management, water quality, and a host of other environmental provisions. Much of the localized flooding that plagues Austin stems from water rushing off the parking lots and rooftops of aging strip malls and big-box developments built before current stormwater and water quality controls were in place. To its credit, CodeNext proposes reducing flooding by “softening up” new development so that stormwater absorbs more gradually into soil or is retained on site via bioswales, porous pavement, green roofs, large-scale rainwater harvesting, and more. Steps like these can also remove pollutants from rainwater before it makes its way into creeks. What’s missing in both CodeNext and Water Forward are provisions that would mandate using captured stormwater inside buildings to flush toilets or in air conditioning chillers, and provisions that would require outdoor landscapes to be irrigated with non-potable water captured inside the building, such as greywater, AC condensate, and treated blackwater. Much of the resistance to this comes from Austin’s own water utility, which is predisposed to meeting future needs with water that it distributes over long distance through its own pipelines. Please send an email to Austin Mayor Steve Adler and your City Council Member and tell them to increase environmental protections in CodeNext to help create a more climate-resilient city. Much is at stake in the 2018 election, with the Trump administration continuing its relentless attack on the environment, health care, the right to choose, and more, as Texas’ political leadership cheers them on. Texas features one closely watched U.S. Senate race (Beto O’Rourke v. incumbent Ted Cruz), at least three competitive races for U.S. Congress (including CD 23, where Gina Ortiz Jones is challenging incumbent William Hurd), and a host of legislative races where anti-environment incumbents could lose their seats, many of them in the Dallas area. In addition, Austin voters will be voting on races for mayor and five city councils seats. Clean Water Action endorses candidates in selected races based on their positions, experience, and leadership abilities. All candidates must respond to a detailed questionnaire to be eligible for endorsement. Now that primary elections are over, questionnaires are being sent to candidates, and endorsements in state and federal races are expected by mid-summer. As always, Clean Water Action will communicate endorsements to our members and ask for your careful consideration of our recommendations. Above all, we urge you to make your voices heard during this pivotal election season. Last November, the Texas Railroad Commission (RRC) submitted a report on its Underground Injection Well Control program to EPA. The RRC committed in 1982 to operate this program — which authorizes injection of oil and gas wastewater into groundwater under certain conditions — with the intention to protect Underground Sources of Drinking Water (USDWs). A USDW is brackish groundwater that can potentially be treated for potable use. Oil and gas wastewater contains toxic chemicals that would render groundwater forever undrinkable. As a 2016 report from Clean Water Action documented, the RRC never followed through on its commitment to allow injection into USDWs only under special circumstances — for instance, if the water was already contaminated beyond possible human use — and only with permission from EPA. The RRC has permitted over 100,000 injection wells without seeking this permission. The November report acknowledges 54 instances where the RRC authorized injection into USDWs without first securing the required approval. The report is also noteworthy for what it fails to provide: it includes no maps or lists of oil fields that were exempted from this program in 1982 on the grounds that injection had already occurred there, even though the RRC promised to provide these. Clean Water Action is calling on the RRC to shut down the 54 wells it identified until it secures the required permission from EPA, and to lay out in detail how it intends to implement the program going forward. The RRC report is available on our web page. On May 15, Clean Water Fund and Clean Water Action marked 30 years of organizing in Texas with the annual Spring for Water celebration at Austin’s Zilker Clubhouse. 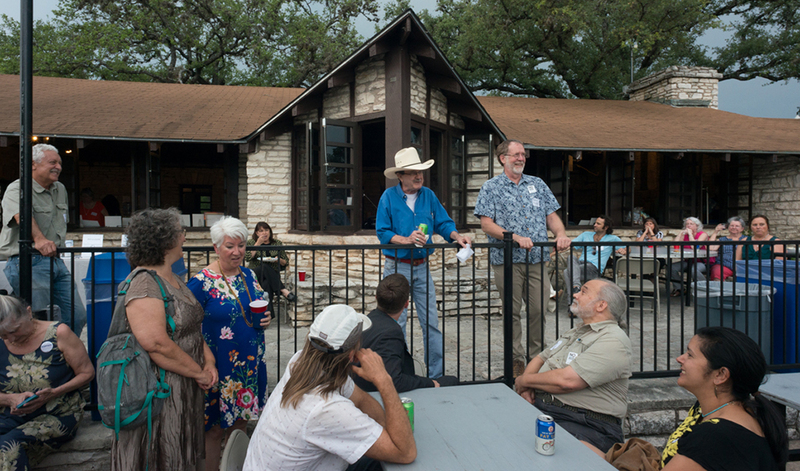 Almost 100 supporters joined special guests Jim Hightower, Travis County Commissioner Brigid Shea (who first came to Texas in 1988 to help start Clean Water’s first office), environmental attorney Rick Lowerre, and other grassroots leaders in celebrating this milestone. The event also honored founder David Zwick, who passed away in February. Mr. Zwick’s path-breaking book Water Wasteland inspired passage of the Clean Water Act in 1972, and he was instrumental in securing passage of the Safe Drinking Water Act and other landmark legislation in years that followed. David personally oversaw the opening of the Texas office and supervised operations here for almost two decades. We thank our generous sponsors, silent auction donors, and guests for making this year’s event our most successful Texas celebration to date. We hope to see you all again at next year’s Spring for Water! Jim Hightower and Texas Director David Foster address attendees. Clean Water Fund once again participated in the annual EarthX festival, held at Dallas’ Fair Park every April. This three-day extravaganza, begun by Dallas philanthropist Trammell Crow Jr. in 2011, has become the largest Earth Day event in the world. It features a film festival, symposia with distinguished speakers, and hundreds of exhibits by environmental groups, businesses, state and federal agencies, and local governments. The event offers a rare opportunity to reach out to thousands of visitors from North Texas and beyond. More than 400 visitors to Clean Water Fund’s exhibit took action by signing postcards to EPA Administrator Scott Pruitt opposing his plan to roll back protections for waterways from coal ash pollution.